Robert Benedetto was born in 1946 into a family of artists, cabinet makers and musicians. 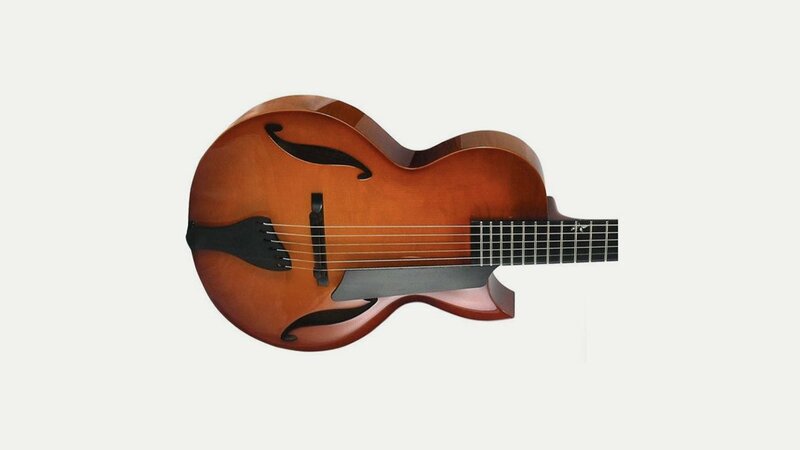 He made his first archtop guitar in 1968. His reputation grew as he crafted guitars for noted players Bucky Pizzarelli, Chuck Wayne, Joe Diorio and Cal Collins, and, later, Johnny Smith, Jack Wilkins, Ron Eschete, Martin Taylor, Howard Alden, John Pizzarelli, Andy Summers, Jimmy Bruno and Kenny Burrell (collectively known as “The Benedetto Players”). His guitars appear on countless recordings, TV & film soundtracks, in videos, books, magazines, museums (including the Smithsonian Institution) and concerts worldwide. From 1999-2006 Benedetto had a licensing agreement with Fender Musical Instruments to produce his models in a small, controlled manufacturing environment (the company became a division of Fender Musical Instruments Corporation). In 2006 Benedetto ended his relationship with Fender and joined forces with Howard Paul to bring Benedetto Guitars to the next level, manufacturing a broad line of more affordable professional instruments without compromising the unparalleled Benedetto worldwide reputation for singular quality. The company is located in Savannah, Georgia, USA. They produce a range of Flagship and Professional Series models.